Captain Robert is a lifelong Carolina native. He has been fishing our local waters since 1981. His passion for fishing started at a young age and grew into a career, first tournament king mackerel fishing for 10 years and eventually taking locals and vacationers on fishing and sight seeing excursions for the past 15 years. He hold a US Coast Guard 100 Ton Masters License. Capt. 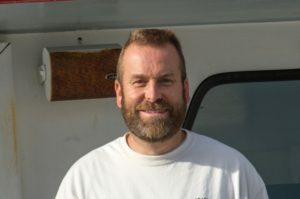 Lee Morrow has been a charter boat captain since 1982. Capt. Lee has a 100 ton master captains license. Native of Miami Florida, Capt. Lee has fished the Calabash & Myrtle Beach area since 1992. His specialty is Gulf Stream Fishing charters! Captain Lee welcomes all of our locals and visitors to the Myrtle Beach, SC area to come on board and join us for a memorable Myrtle Beach fishing charter experience. Miss Calabash is 46′ foot Atlantic offshore deep sea fishing and Gulf Stream, fully equipped charter boat. For more details about Miss Calabash… click here! Capt. 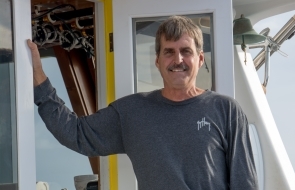 Terry Annibale has been a charter boat Captain since 1999 and a commercial fisherman since 1981. Capt. Terry has a 100 ton master captains license. Native of Charleston SC, Capt. Terry has fished with our fleet here in Myrtle Beach & Calabash for 10 years! If you are visiting the Myrtle Beach area and looking for an affordable fun filled deep sea adventure come on board the Navigator with Captain Terry! For information about the famous fishing party boat “Navigator” click here. Capt. Braxton Lewis welcomes the newest Myrtle Beach charter fishing boat to join our fleet… The Black Hawk is a 45ft custom walk around with air conditioned comfortable cabin, head and more. Black Hawk offers a great fishing experience and is great for corporate, family and group charters! lifelong resident of North Myrtle Beach, captain Braxton has been an avid fisherman and a US Coast Guard Captain since 1980. He’s experienced with all salt water species and fishing tactics, he truly enjoys the fellowship and excitement of taking our visitors fishing.